Taste test: These potato chips were great. They were thick and crunchy, and best of all, they had an awesome sour cream and onion flavor. 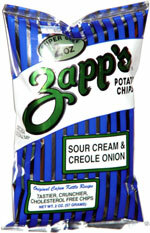 One of the best sour cream and onion tastes ever. I just couldn't stop eating them. Smell test: Mild, oniony smell. 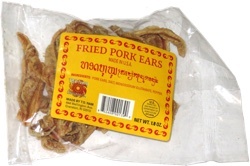 This snack was discovered by Jeremy at Zathmary's, Needham, Massachusetts. Review published .